Thank you for 90 years of growth! 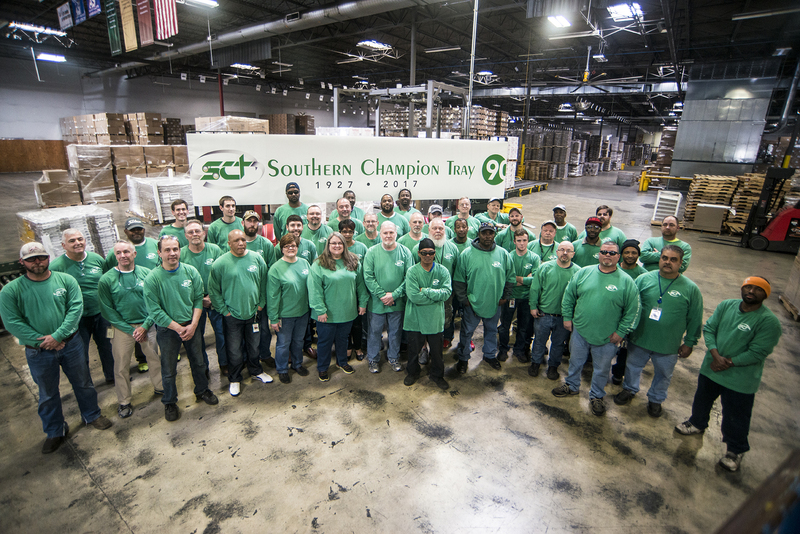 For 90 years, Southern Champion Tray has been one of the industry leaders in paperboard packaging. With one of the largest conversion facilities in the United States, we have experienced immense growth over the years. We love our customers! Without their loyalty to our products, Southern Champion Tray would not be where it is today. We also believe our team is the absolute best! We have a team, better known as a "family", of people who are eager to work hard and find new and improved ways to make our processes more efficient, while still delivering the quality products we are known for. Here's a look at the people who make it all happen (more pictures here)!